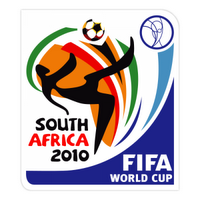 There will be at least one European representative in the Final of the 2010 FIFA World Cup South Africa™, after Germany and Spain go head-to-head in the second semi-final on Wednesday evening. The match gives the Germans the opportunity to avenge their defeat to a Fernando Torres goal in the final of UEFA EURO 2008. No less than 19 survivors from that game – eight Germans and 11 Spaniards – will be on show in Durban, yet much has changed since that night in Vienna. La Roja have struggled at times to produce the same majestic football that swept them to the European title, while Joachim Low’s revamped unit are unquestionably the form side of the competition. Die Nationalmannschaft have been winning new fans with their adventurous approach and earning praise from even the most seasoned of observers, Franz Beckenbauer among them. “Germany have never played like this before,” said an admiring Kaiser after his compatriots had seen off Argentina in the last eight. While no side has scored more goals in the tournament than Germany’s 13, the statistics show that Spain have done more attacking than anyone. If those two pieces of information are anything to go by, this should be quite a match. The Germans have been nothing short of spectacular in South Africa. After putting four past Australia in the group phase, they clicked into top gear in the Round of 16, overwhelming England 4-1 with their rapid counter-attacking style and then put another four past Argentina in the quarters. Though Spain have reached a semi-final for the first time ever, they have been unable to match the exacting standards they have set for themselves in recent times, reproducing their eye-catching possession football only sporadically. Victors by a single goal in their last three games, the European champions can justifiably point to some massed defences as the reason for their reduced creativity, but there will be no excuses for a lack of spark come kick-off time on Wednesday. All the indications are that Vicente del Bosque will keep faith with the XI that started against Paraguay, which means a reprieve for the misfiring Torres, who has yet to score. As for opposite number Low, his most pressing problem is to find a replacement for the suspended Thomas Muller, with Piotr Trochowski, Toni Kroos and Cacau all in the frame. The leading marksman at South Africa 2010 with five of his country’s six goals, the Spanish striker is just one away from joining Raul as La Roja’s top scorer of all time. No less important to his team than the in-form Villa, Klose is closing on another record. The German forward needs to find the back of the net one more time to draw level with Brazil’s Ronaldo as the leading goalscorer in FIFA World Cup finals history with 15 goals. 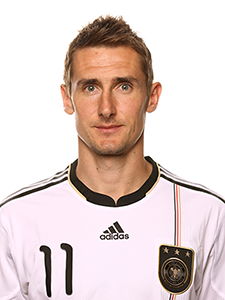 One behind the Spaniard in the South Africa 2010 charts, Klose has not given up hope of making off with the adidas Golden Boot as well. 3 - The number of times the two sides have faced each other in FIFA World Cup matches. Germany have yet to lose, winning 2-1 at England 1966 and Spain 1982 and forcing a 1-1 draw at USA 1994. “Spain are the favourites to my mind and their team play is just amazing. They don’t have one Messi, they have several, and they don’t make many mistakes either, unlike England and Argentina. We need to force them to make errors,” Joachim Low, Germany coach. “We haven’t come this far to finish fourth. We are going to fight hard against Germany to reach the Final, which is our one and only objective. We’ve reached a landmark for Spanish football by getting past the quarter-finals, but we know the Germany match is the most important in our history, even more so than the EURO 2008 final in Austria,” Iker Casillas, Spain goalkeeper and captain.